Kitchen Design, What Makes it Perfect? The perfect kitchen design starts with a professional design consultation and ends the last day of construction. You’re present along the way and we work hard to show you we value and understand you. Your kitchen design is a reflection of your personal style. It’s also a functional space that must perform to your standards. We design thousands of kitchens every year. Our process is efficient and backed by over three decades of experience in the industry. We also focus on personalization. You hold the key to the perfect kitchen design. We want to use our expertise to make it happen. 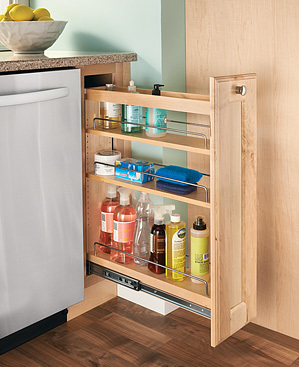 We believe there is no such thing as impersonal kitchen design. 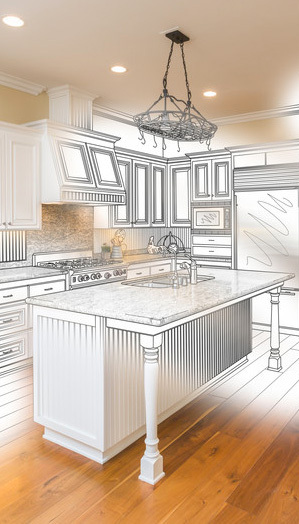 After all, how can we create your dream kitchen without you? That’s why we take the time to meet with you as often as you need. We love to share product samples and answer all your questions. We deliberately schedule time between each appointment so you can really think over our proposals. You won’t feel rushed or pressured. We want you to understand the process and get excited. Your comfort level is at the top of our priority list. We take the time to do this right. Many homeowners know exactly what they want, while some need more guidance. Our design team is trained to draw out your inner style. We also know the right questions to ask to identify functional features you need. Then, we figure out how those pieces come together to create your personal kitchen design. A beautiful kitchen won’t help you feed your family or host memorable gatherings during the holidays unless it incorporates innovative, functional features. We keep form and function at the front of our plans. You’ll find only cutting-edge kitchen design technology at our showroom. We have the latest name brand appliances, cabinets and more. Even our lighting options are vast and dynamic.